Wow, what a unique sign indeed. Measuring 36″ by 24″, this sign has a large red dragon on the front, and mounting holes on all four corners. 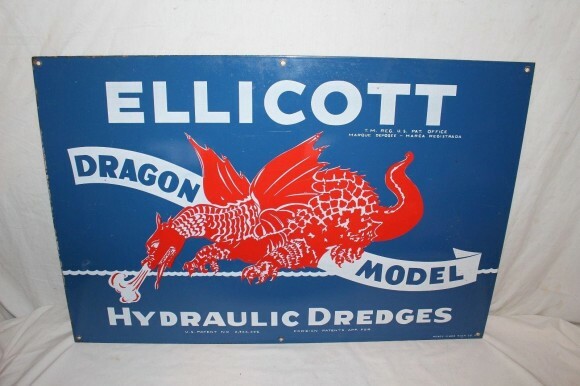 The text on the sign reads “Ellicott Dragon Model, Hydraulic Dredges.” The sign is blue, red, and white.